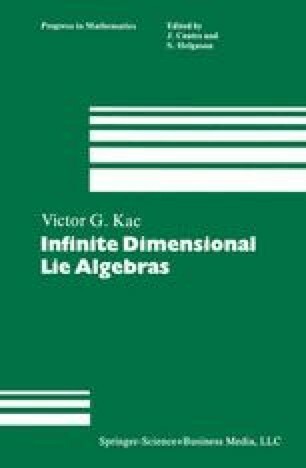 In this chapter we describe in detail the weight system of an integrable highest weight module L(Λ) over a Kac-Moody algebra g(A). We establish the existence of a Ii(A)-invariant positive-definite Hermitian form on L(Λ). Finally, we study the decomposition of L(Λ) with respect to various subalgebras of g(A) and derive an explicit description of the region of convergence of ch L (Λ).